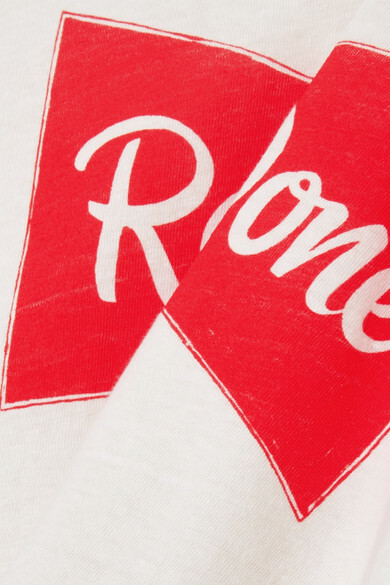 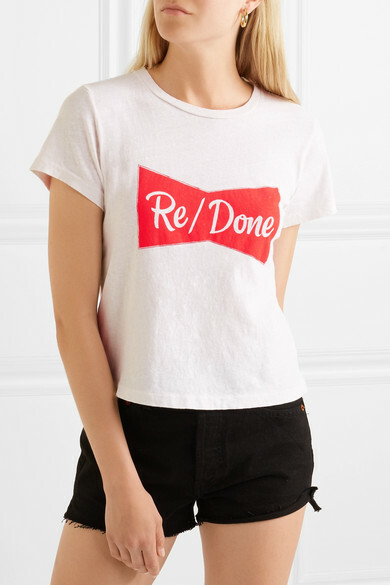 RE/DONE designs vintage-inspired logo tees every season to wear with its cult line of repurposed denim – this one features the brand's lettering on a red ribbon. 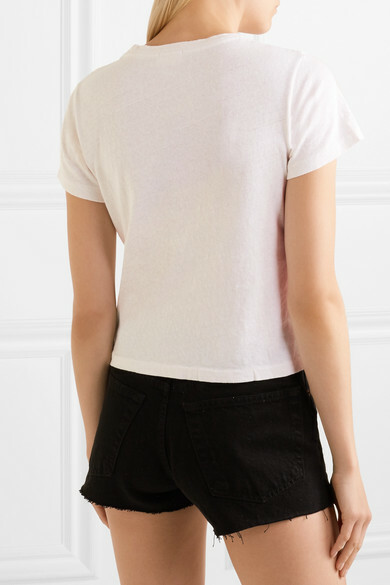 It's cut from lightweight cotton-jersey in a slightly loose silhouette, so it's perfect for teaming with high-rise jeans or shorts. 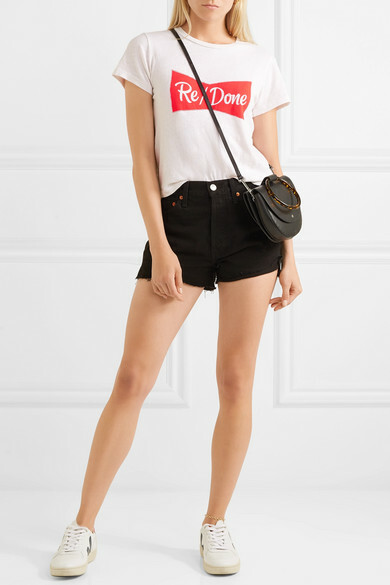 Shown here with: RE/DONE Shorts, Theory Shoulder bag, Veja Sneakers, Kenneth Jay Lane Anklets, Sophie Buhai Earrings.